As global housing prices continue their slow recovery and Academy Award-nominated movie “The Big Short” spotlights the unstable U.S. housing market, expat survey data sheds light on where to find the most affordable housing. The contrast in housing prices around the world is quite astonishing and something that people should take into account before they move abroad. An international expat survey with more than 14,000 respondents by global network and information site InterNations reveals that only 41 percent of expats are satisfied with the housing costs in their new country of residence and a mere third of the expats moving abroad for job-related reasons received housing provided by their employer or help finding housing. Without this assistance, expats moving to Hong Kong, London, or New York may be in for a rude awakening when they begin their search for affordable housing. That being said, 42 percent of Expat Insider respondents who moved to Hong Kong for work-related reasons say that they had help from their employer with regards to navigating this particularly expensive housing market. In fact, the survey results show for the second year in a row that expats consider Hong Kong to be the place with the most expensive housing. According to the Demographia International Housing Affordability Survey, Hong Kong is considered “severely unaffordable” with median home prices being 19 times the median pre-tax household income, the highest recorded in the 12-year history of the survey. Rent prices in Hong Kong are constantly going up due to a high demand for high-class developments and lack of space. Mozambique and Luxembourg follow expensive Hong Kong with an astounding 81 percent of the expats living in these countries rating their housing costs negatively, compared to the global average of 42 percent of expats who feel the same about housing in their country of residence. As reported by the Economist, the high housing prices in Mozambique are the result of increased demand due to the rising number of expats in the country. Unlike Hong Kong, expats moving to one of these two countries are less likely to receive support from their employer in terms of finding housing on their own. However, 44 percent of those coming to Mozambique for their career report living in company housing. Many expats in these countries indeed struggle to find housing, with 47 percent in Luxembourg and 59 percent in Mozambique feeling dissatisfied with the availability of housing. Nigeria also ranks in the five most expensive housing markets worldwide, but an impressive 85 percent of expats relocating to Nigeria for work live in company housing. It may be that many expats living in this country experience higher housing prices than the local population due to the fact that many of them live in private communities for security purposes. Myanmar, Israel, Singapore, Ireland, Qatar, and the United Kingdom also find themselves in the top ten least affordable housing markets in the world. On the other end of the spectrum, expats consider Ecuador to be the country with the most affordable housing. Of the survey respondents living in Ecuador, 89 percent report being satisfied with the affordability of housing. Ecuador is a great destination for the financially savvy, also claiming the top spots in the Personal Finance and Cost of Living Indices. This factor contributes to Ecuador maintaining its position as the top country for expats in the overall ranking. Housing affordability often correlates with its availability, with the top three destinations for affordable housing also being among the easiest places for expats to find housing. In the case of Hungary, 71 percent of expats claim that it was easy for them to find a home. Ecuador and Thailand have even higher numbers of satisfied expats with 79 percent and a whopping 93 percent respectively saying that they were able to find housing easily. All in all, 60 percent of expats surveyed worldwide report that it was easy for them to find accommodation in their host country. For those considering a move abroad, knowledge is key when seeking affordable housing. Ask your employer about possible relocation assistance and utilize online resources, such as InterNations, to get a better understanding of what to expect when it comes to housing affordability and availability in your new home. 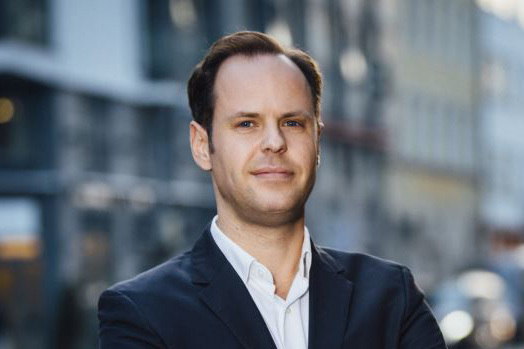 Malte Zeeck, CEO and co-founder of InterNations, has a Master of Business Administration from the University of St. Gallen, Switzerland, and additionally studied at the Bocconi University in Milan, the Fundação Getúlio Vargas in São Paulo, and the Deutsche Film- und Fernsehakademie in Berlin.